I originally found this craft project on another blog. 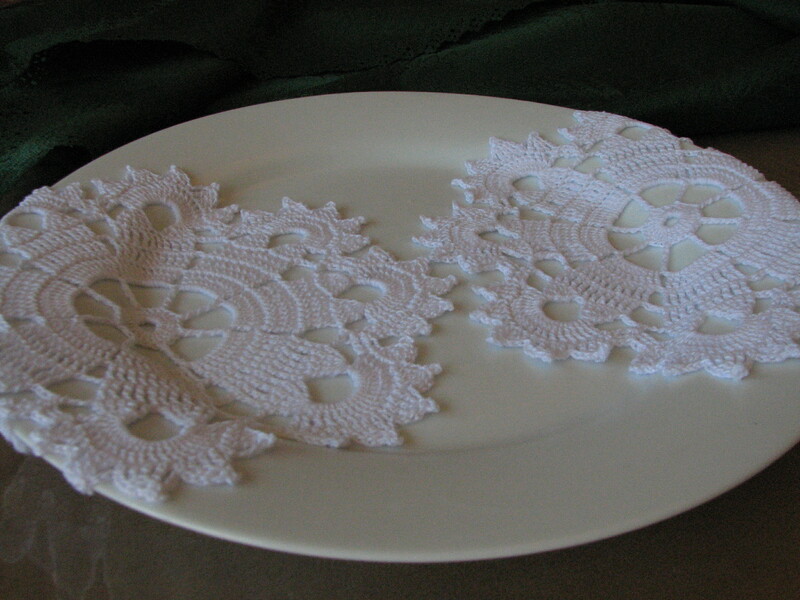 I was immediately intrigued because of how classy the white doily on the white plate looked. I decided to do a similar project. Since I know how to crochet, I made my own doilies. 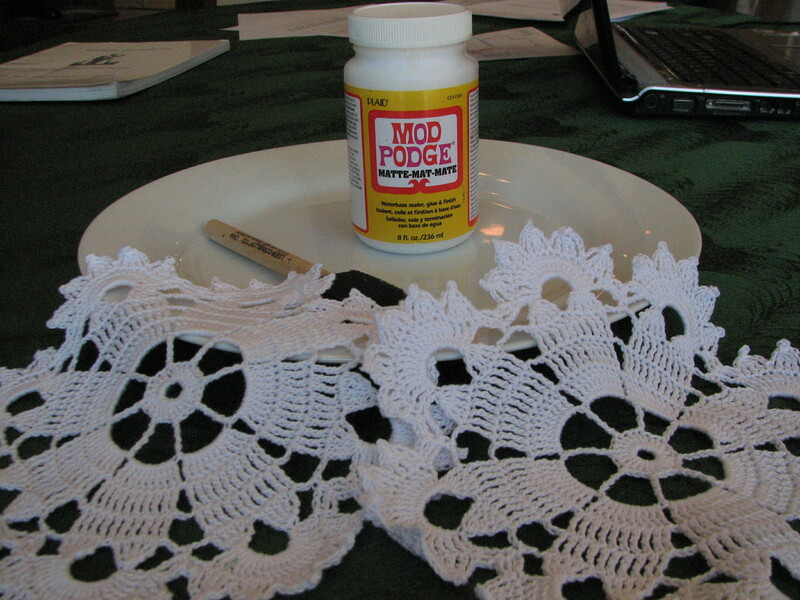 After crocheting the doilies, I used modpodge to adhere them to the plate. I was very pleased with the finished result. I’m not entirely certain yet where I will put this plate or what I will do with it. But I am quite sure that it will find the perfect place in my new home. This is a very easy project to complete. I purchased my plate at Goodwill for $1.99. I made my own doilies, which cut down on cost but increased the amount of time the project took. If you don’t want to take the time to make your own doilies, I’m sure you could purchase some inexpensively at a craft store or perhaps at a Goodwill. This post is linked to Growing Home.